Do you have the heart of an athlete, but the skills of a toddler? Then this is the show for you! Self-appointed ‘Sports Personality of the Year’ James Hancox is rubbish at sports. As a response he’s invented his own, and plans to unveil them to the world. Audience-based sketch, improvised power ballads and half the contents of the local pound shop combine in a show that proves if you can’t beat them, just make up a different game and beat them at that instead. 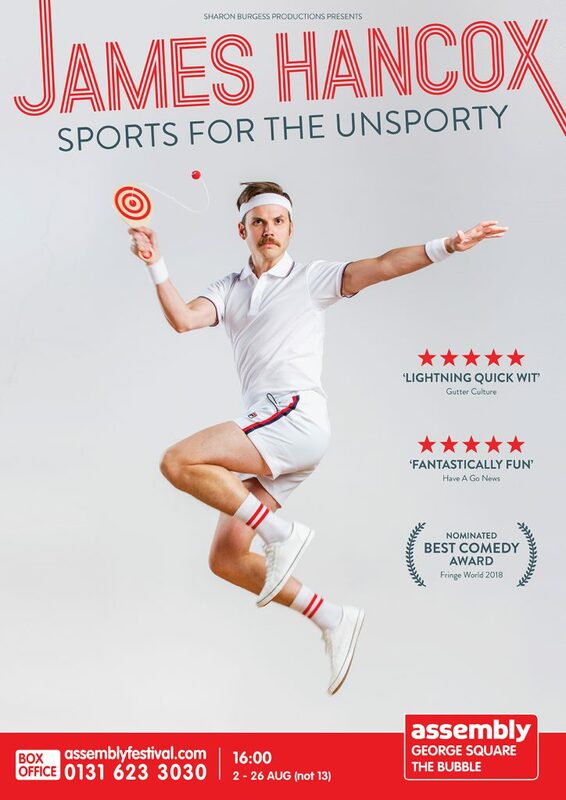 COMING TO ADELAIDE FRINGE IN FEBRUARY 2019!